Life indeed breathes in films with tenderness and passion as the 80s are well on their way, offering a different sensitivity that seems to reflect a switch in tastes. Remember a few of the 80’s best films: Amadeus, Born on the 4th of July, Out of Africa, Rain Man, Romancing the Stone, Working Girl, Hannah and Her Sisters, Prizzi’s Honor, The Silence of the Lambs, Driving Miss Daisy … And what about the foreign ones? The Last Emperor, Indochine, Cyrano de Bergerac … Pelle the Conqueror, My Life as a Dog, Cinema Paradiso. Their originality is inspiring and as diverse as the countries they come from, forcing Hollywood to reflect on their impact. Independent cinema, in the wake of its two frontmen, Spike Lee and Steven Soderbergh, is starting its prodigious ascent. Other memorable films of the time include Once Upon a Time in America, Mission, Fatal Attraction, Barfly as well as lighter fare like Footloose, The Gremlins, Back to the Future and Ghostbusters. Did we mention Mel Gibson, Bruce Willis, Arnold and Sly, Tom Hanks, all the new bankable heroes who will reign supreme at the box office for so long to still be relevant today? And what about the unavoidable anthems of those years: Take My Breath Away from the Top Gun soundtrack, Flashdance ... What a feeling, I Just Called to Say I Love You from The Woman in Red? Don’t they still resonate in your ears? Don’t be ashamed to admit it! 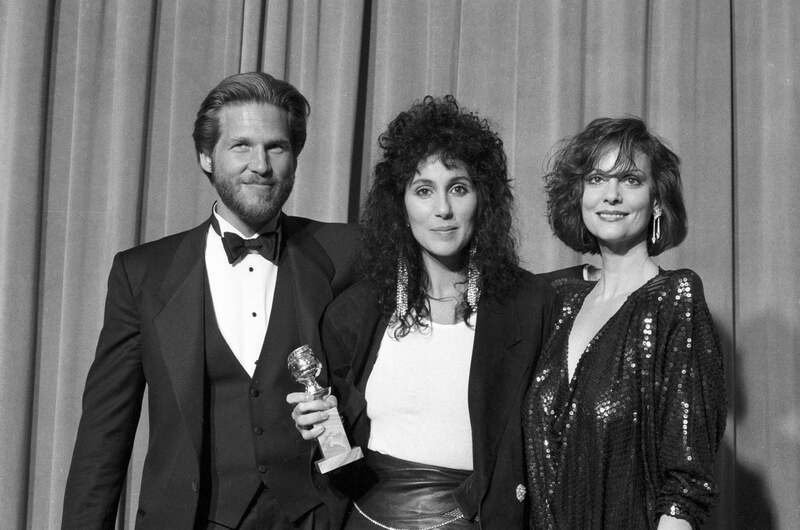 In 1984, Cher, Best Actress, Comedy or Musical for Moonstruck, with presenters Jeff Bridges and Leslie Ann Warren. The cinema of the 80s is incredibly fun, cocky and creative, exploring all sorts of themes, offering all sorts of rides. Don’t look for a common denominator except for inventiveness, emotion, pleasure, cult impact, and an extraordinary artistic ambition. Clint Eastwood will earn the first of his four Golden Globes for best director, in 1989 for Bird. During that decade, the choices for the Cecil B. deMille Award really reflect the strong ties between the journalists of the Foreign Press and Hollywood. They single out screen legends whose humanitarian work and charitable endeavors have transcended their movie careers. Liz Taylor who tirelessly fights against AIDS, but also Robert Mitchum and Doris Day, Barbara Stanwyck and Lauren Bacall, Jack Lemmon and Paul Newman. How amusing it is to glimpse at their photo album. In 1987, Anthony Quinn is sitting by the new sensation, Nastassja Kinski, Klaus’daughter. It is still fascinating that the membership of the HFPA, who grows steadily during that decade, with more and more press conferences organized each year, is able to never miss the arrival of new talent and accompany them along the way while they make their mark in the history of American cinema, becoming part of their journey around the globe. 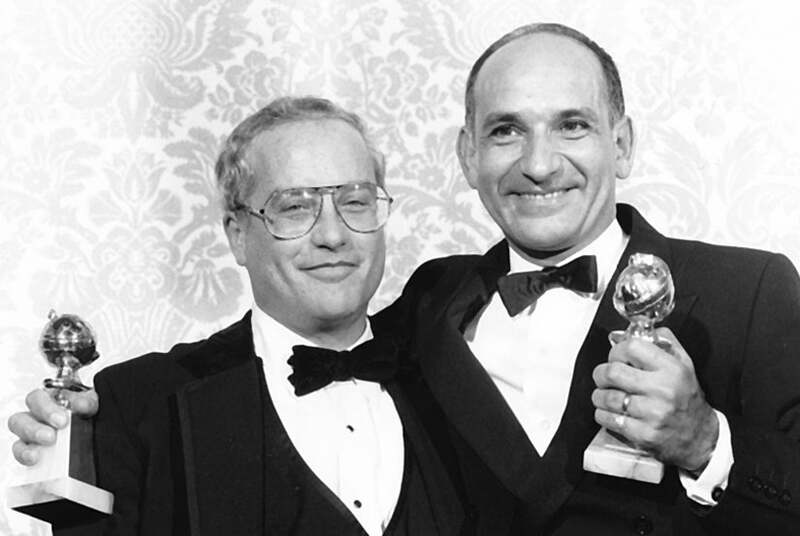 Check out our gallery of Golden Globe photographs from 1980s and 1990s.